Ghost The Musical on Broadway Now | All Tickets Inc.
Ghost The Musical with Book and Lyrics by Bruce Joel Rubin and Music and Lyrics by Dave Stewart and Glen Ballard is on Broadway in previews with opening night about one month away. The show has been impressing audiences in it’s first week of previews in the US and is running strong at the Piccadilly Theatre in London. The London show has just been nominated for five Oliviers, including Best Musical. 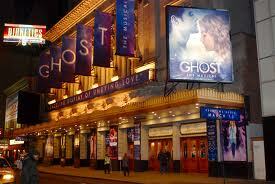 What’s so impressive about Ghost The Musical? Various staff members at All Tickets Inc. have seen the show in London and now in the U.S. and here is a quick list of five aspects that make this show so special. In this blog, I’m offering a short explanation of the power of each. In later blogs, I’ll consider each in more detail. The original story by Bruce Joel Rubin goes across numerous genres. It is a lobe story with the twist that the two lovers spend very little time together. It’s also a ghost story, a murder tale and an action script. Plus, there are twists within those categories. The two stars make an amazing couple and individually they are extremely talented. They are a joy to watch. Music you will remember and want to hear again and lyrics that are at times clever and other times heartfelt and always well crafted. It is detailed and right on target. This is an amazing effort with equally amazing results. The “Wow Factor” includes the illusions, choreography, scenery, video and projections, Oda Mae Brown’s character and much more. Over 20 years ago playwright Ronald Harwood posited that American musical theatre is a combination of two elements—Realism and Razzmatazz. 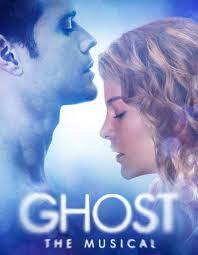 Although it may sound like a contradiction to say this about a story that centers on a ghostly relationship, the fact is Ghost The Musical, which is a combination of many different styles, tells its story in an amazingly realistic manner. The illusions of ghostly activity are extremely realistic and have people believing that they are real. The love story is deeply felt and offers realistic insights into love, loss, grieving and belief. The razzmatazz is certainly there, whether it’s in Ashley Wallen’s modern choreography, Jon Driscoll’s stunning videos and projections, Paul Kieve’s mindboggling illusions or any other number of aspects. This is indeed a big show with a whole lot of glitz. Your heart will be touched, your feet will be keeping time with the great music, your funny bone will be tickled and you will believe in true love after seeing Ghost The Musical at the Lunt-Fontanne on Broadway. All Tickets Inc. can put together a great evening of theatre for your group. Click here for tickets or call All Tickets Inc. at 800-922-0716. Connect with All Tickets Inc. on Facebook now!